The Northern Ireland Young People’s Report to the UN Committee on the Rights of the Child has been published. It was compiled and written by the Children’s Law Centre (CLC) and youth@clc, in partnership with Save the Children (SC) and supported by the Centre for Children’s Rights at Queen’s University Belfast (QUB). The Report represents the views and experiences of 900 children and young people from across Northern Ireland who, during 2014/2015, participated in research on their current enjoyment of a range of key UNCRC rights. 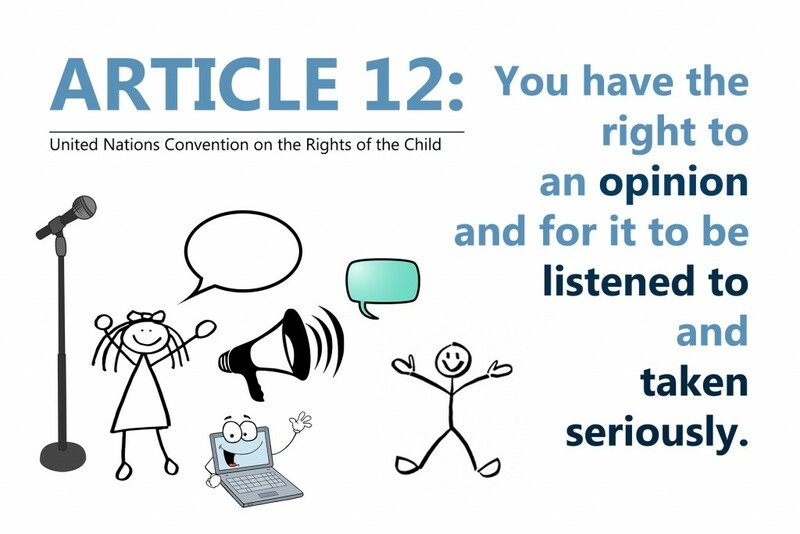 The Young People’s Report was submitted to the UN Committee on the Rights of the Child in June 2015, along with the NI NGO Alternative Report, to inform the Committee’s fifth periodic examination of the United Kingdom (UK) Government’s compliance with the United Nations Convention on the Rights of the Child (UNCRC). The Report highlights action needed to give effect to and ensure implementation of the Convention in all Northern Ireland (NI) policy, law and administrative and judicial proceedings. The Young People’s Report will ensure that children and young people in NI have a strong voice in Geneva throughout the UK examination process, with a view to informing the Committee about jurisdictionally specific devolved issues within the responsibility of the NI Executive and Assembly and non-devolved matters which remain the responsibility of the Westminster Government. NIYF are delighted to have contributed to the report and fully endorse both the young people’s and the NGO reports. Download a copy of the young people’s report here.